Usually I start off my reviews with a short synopsis about what the book I am reviewing is about. However, with The Ocean at the End of the Lane, I am not going to do that, because doing so is nearly impossible to do so without giving away something about the story. 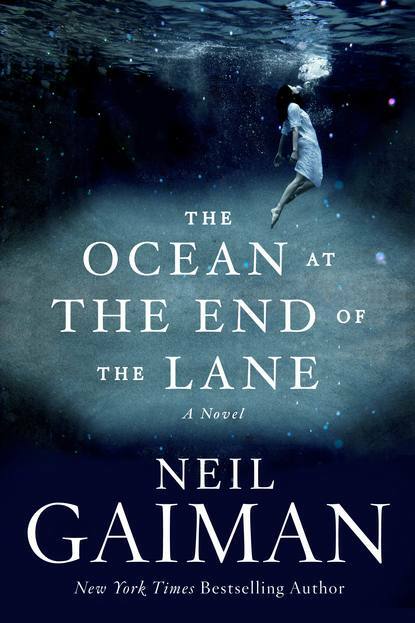 I had never read any of Neil Gaiman’s works until I saw glowing reviews for The Ocean at the End of the Lane, including one from Erin Morgenstern, the author of The Night Circus, one of my favorite books I have ever read. I knew then that I had to get a copy of this novel. I did not know much of what Ocean was about when I began to read it, and I am glad that I did not. With such a short novel as this, knowing one thing about it may just spoil the rest of the story. Ocean, to me was like a fairytale, and part of the joy of reading this fairytale was not knowing anything about the characters or the mythos by which it was layered. Although Gaiman wrote the novel from the point of view of a seven year-old, he accomplishes writing prose that is so delicate and yet so sharp. The story as a whole flowed seamlessly, inviting me to read just not one or two chapters at a time, but three or four or five. Needless to say, I was enraptured by this tale of darkness and innocence, and I will definitely be reading Neil Gaiman’s past and future works. Another good review! This sounds like such a nice read, I might put this on my TBR list. Good post. Can’t wait to read your novel one day! Neil Gaiman is a great writer, and The Night Circus is on my list of books to read. I read a sample and it looked wonderful.